With more than one billion people traveling internationally as tourists in 2016, travel insurance is becoming a topic of interest, causing the industry to grow and change with the market. For first time buyers, the process of researching and selecting a visitors insurance plan can be overwhelming. So we created a solution to help travelers select the right visitors insurance to help them stay safe, no matter where their travels take them. Powered by VisitorsCoverage.com, Visitors Insurance Reviews is an educational online platform created for international travelers to conduct research and learn about travel insurance. Our mission is very clear: We Want to Make Visitors Insurance Simple. Through articles, videos, infographics and detailed reviews, Visitors Insurance Reviews helps you through every step of your visitors insurance journey, answering all your questions along the way and enabling you to arrive at a more informed decision. We believe that visitors insurance should not be complicated, so we aim to break down even the most complex topics and present the information in a way that is easy to understand and available to everyone. We also believe that a well-informed customer is a more satisfied customer, so we provide the tools you need to feel confident in your knowledge and decisions moving forward. With more than a decade of industry experience, we’ve gathered a wealth of knowledge from our customers that we can now share with travelers worldwide. From deductibles and policy maximums to PPO networks and pre-existing conditions, we can help answer all your most pressing questions about visitors insurance in one easy-to-access website. 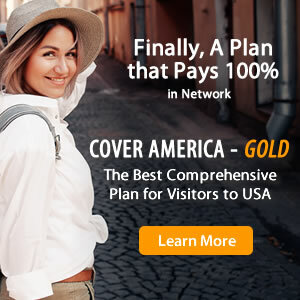 Articles on Visitors Insurance Reviews are written under the direction of Rajeev Shrivastava, an insurance industry expert and the CEO of global InsurTech company VisitorsCoverage Inc., a popular online travel insurance marketplace that allows travelers across the globe to acquire and manage their travel insurance online. Rajeev has always been passionate about using the Internet and web-based solutions to solve real-world problems and has applied his understanding of technology to change the way people buy and manage their travel insurance policies. As a leader in the insurance industry and a licensed insurance consultant, Rajeev is an expert in visitors insurance with inside insurance information and advice made accessible to you through the Visitors Insurance Reviews website. Visitors Insurance Reviews is always striving to simplify the process of researching travel insurance, helping international travelers better understand visitors insurance, make a better decision and travel with peace of mind.